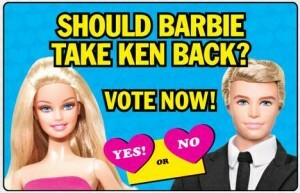 Ken and Barbie in 2012? 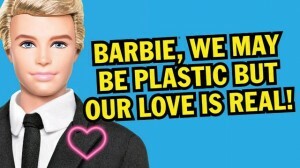 You’ve probably been confused about the broader significance of the Barbie-and-Ken reunion now being promoted on billboards. That’s why they pay me the big bucks: to figure out the machinations of our evil plutocratic warlords. This seemingly innocent campaign actually conceals a deep political plot. According to my secret de-coder ring, Mattel’s campaign – covertly paid for by the Koch brothers – is actually designed to pave the way for another pairing of vapid media creatures with generically Anglo-Saxon features: a Romney-Palin ticket in 2012. 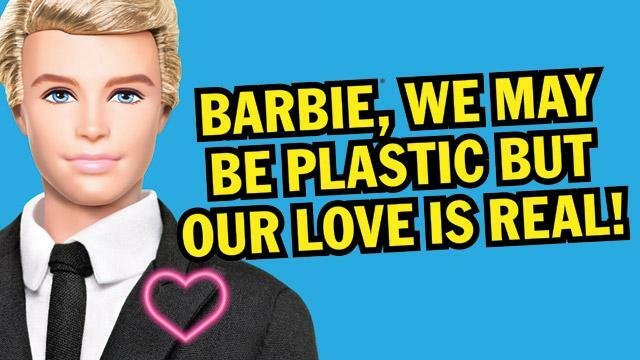 Their ideas may be plastic, but their ambitions are real.